My spookies! SERIOUSLY. Is there much of anything that's better than October? The sunny days. The chilly nights. The treats. The sweaters. PUMPKIN WAFFLES. Pumpkin everything else. Magical mists, old curling leaves and cookies and breezes and cardigans (see also sweaters). Even if those Octobery things exist for me or for some people only as a state of mind or an ideal, it's a very good state of mind to try and attain, I believe. 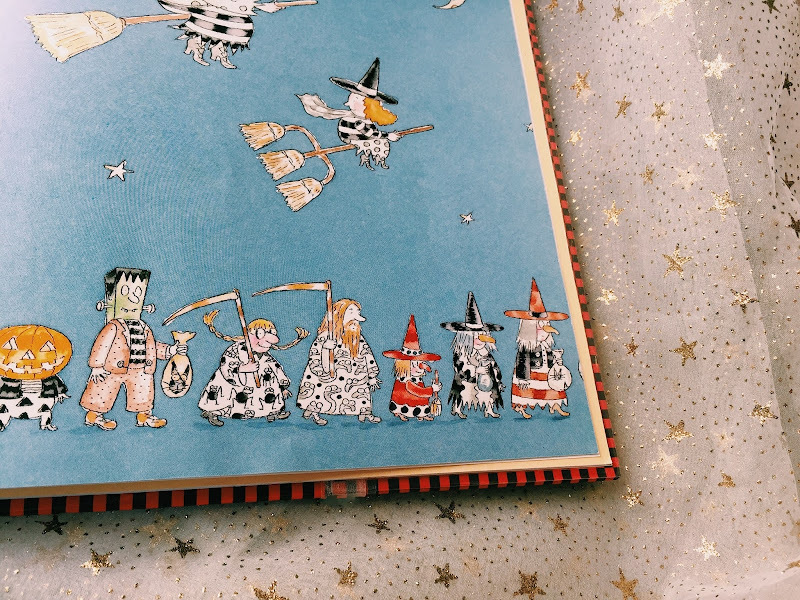 And there are Halloween books. 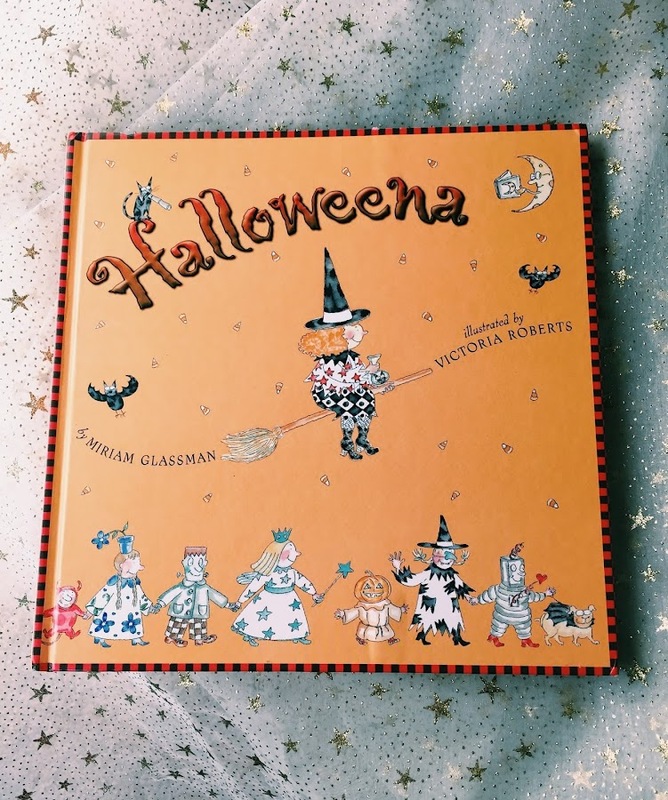 'Halloweena' by Miriam Glassman and Victoria Roberts is a sweetheart of a Halloween book that I scooped up from the library. Yessiree, I still bring home picture books here and there for my almost-ten year old. 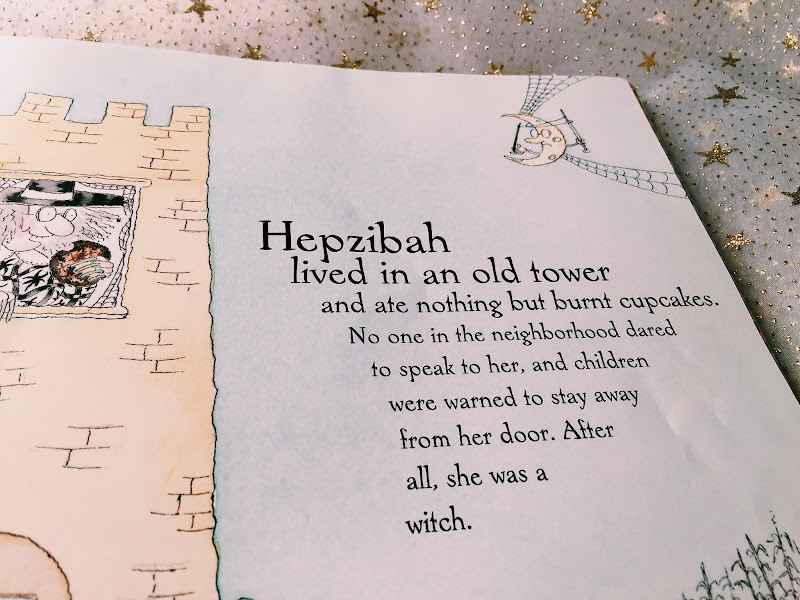 In this one, Hepzibah, (a witch who lives on burnt cupcakes), inherits a baby human from her sister (it's complicated) and takes to her new role as surrogate witch mama with great enthusiasm, even though the child has difficulty learning to fly and cackle. 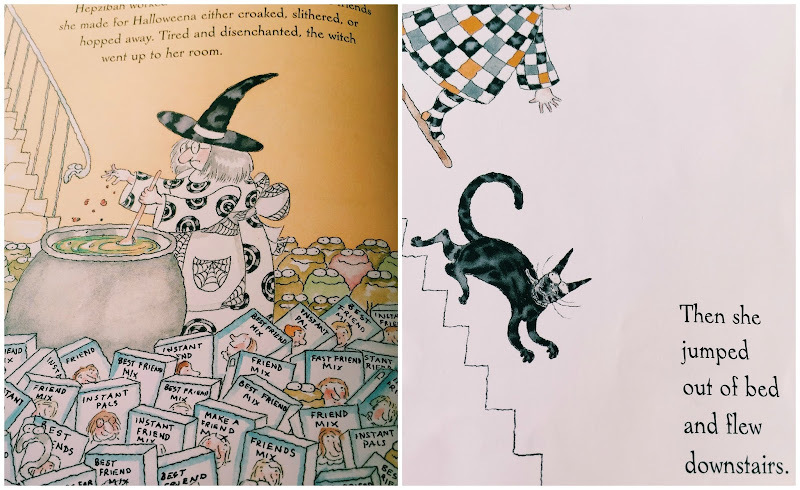 As she grows, the little girl (named Halloweena) learns how to perform spells and master the art of flying, but she longs to make friends with the kids she sees out on Halloween, who look like her and sound like her when they laugh. After some resistance to the idea. Hepzibah realizes that friends are needed to keep Halloweena from growing sad and lonely. She ponders upon what spell she can cast to bring some friends into Halloweena's life, with no success. 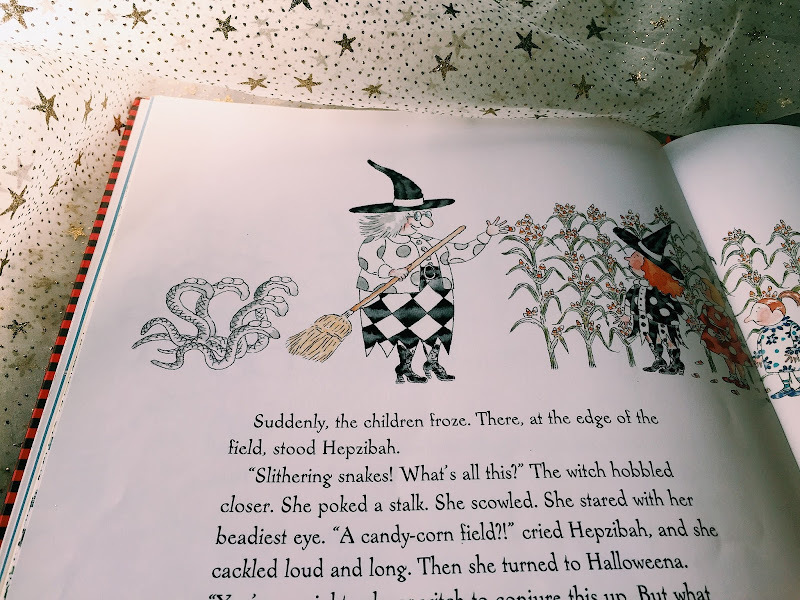 But Halloweena takes matters into her own hands and conjures up a CANDY CORN FIELD, which of course, draws other kids to it like little fireflies. Soon, Halloweena has all the friends she could ever wish for, and a special Halloween party to boot! So darling! Precious and non-threatening, and what I really love is that this is appropriate for such a wide age range - anywhere from 5 through 9. The art work is light and detailed and tiny - as in loads of small intricacies within the pages that you have to really look at to appreciate. 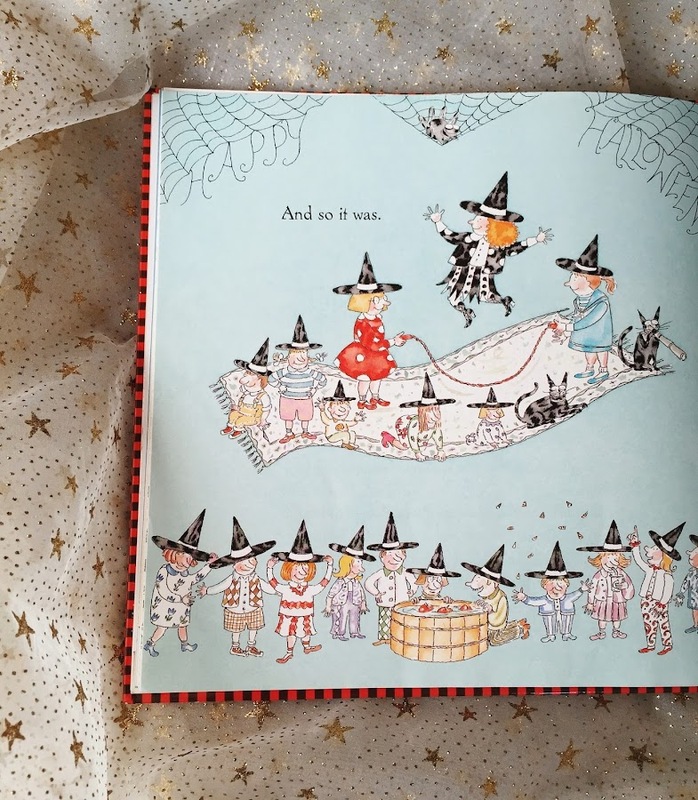 I like my kid Halloween books to be high on the charming and the cute, and 'Halloweena' more than satisfies me on both counts. Also, I WANT A CANDY CORN FIELD. I could eat my weight in candy corn. Candy corn is the BEST - esp Brach's! 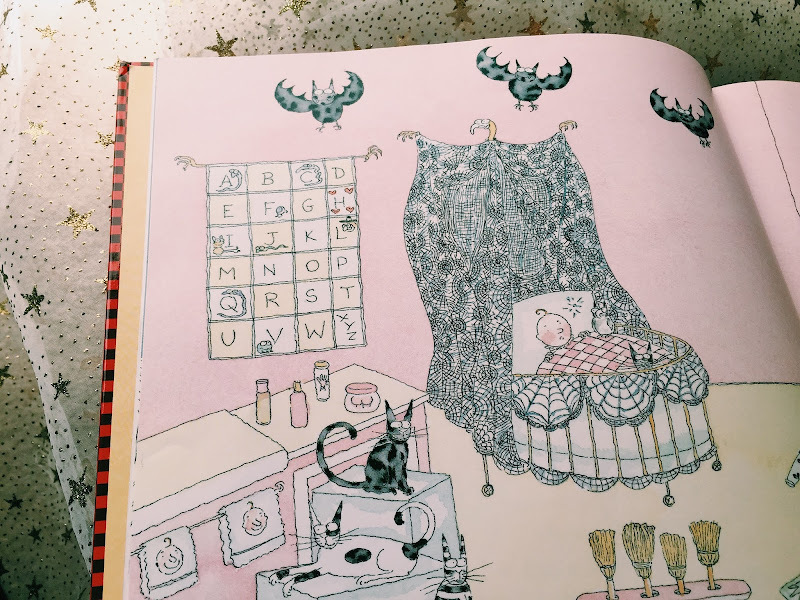 What a sweet book! And I'm a huge sucker for candy corn. I'll even eat the pumpkin shaped ones. i haven't bought any yet! I think this weekend I need to get on that. I've been so good! There's NO candy in the house yet! 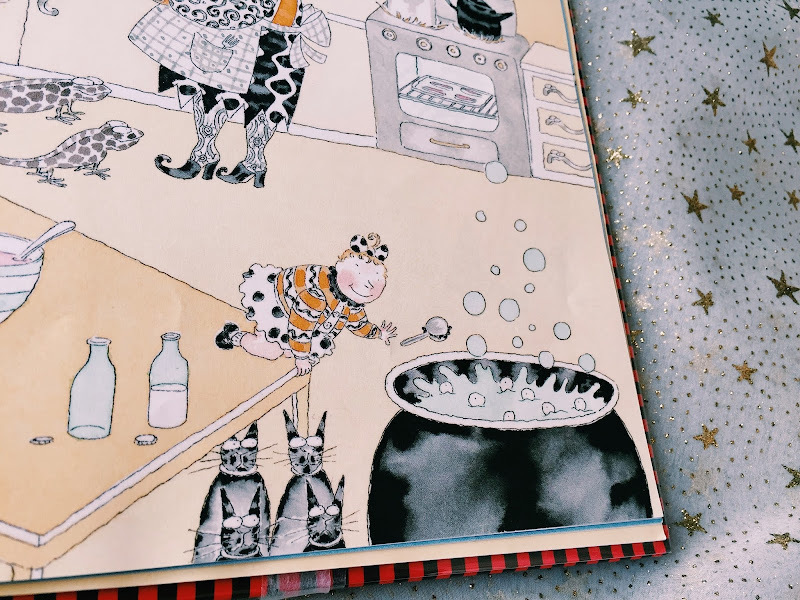 The book looks charming! Also, with the last two sentences, you said it all :) I love your idea of an October state of mind, yay! It's such a sweet book, Georgia! I'm seeing lots of fall color around here this year - we've had lots of sunny days and cooler nights, which makes for really great fall color! OH I want it. How cute. your big girl would love it!! Wow. I am loving that story! Great find!